328 pages | 10 B/W Illus. In this fully updated and revised new edition of his landmark study of violence in and around contemporary sport, Kevin Young offers a comprehensive sociological analysis of an issue of central importance within sport studies. The book explores organised and spontaneous violence, both on the field and off, and calls for a much broader definition of ‘sports-related violence’, to include issues as diverse as criminal behaviour by players, abuse within sport and exploitative labour practices. Offering a sophisticated theoretical framework for understanding violence in a sporting context and including new case studies and updated empirical data – from professional soccer in Europe to ice hockey in North America – the book establishes a benchmark for the study of violence within sport and wider society. Through close examination of often contradictory trends, from anti-violence initiatives in professional sports leagues to the role of the media in encouraging hyper-aggression, the book throws new light on our understanding of the socially-embedded character of sport and its fundamental ties to history, culture, politics, social class, gender and the law. This new edition also recognises burgeoning new literatures, such as research examining concussion and the link between sport and mental illness and includes student-friendly pedagogical aids, such as critical thinking questions at the end of each chapter. 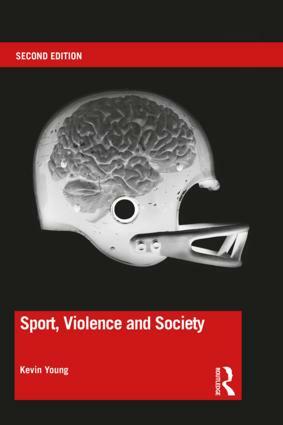 Sport, Violence and Society is a vital read for anyone studying or working in the areas of the Sociology of Sport, Sport Psychology, Ethics and Philosophy of Sport, Sport and Politics, Sports History, and Sport and the Media. 5. Risk, Pain and Injury in Sport: A Cause or Effect of Violence? Kevin Young is Professor of Sociology at the University of Calgary in Canada. His research and teaching interests bridge Criminology and Sociology of Sport and he has published widely on matters relating to violence, gender, body and health, and the use of animals in sport. Kevin is former Vice President of the International Sociology of Sport Association and has served on the editorial boards of the major journals in the field.